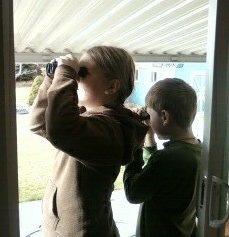 I’ve been into birdwatching (or “birding” as it is commonly called) for a little less than a year now, and this year the kids and I are participating in the GBBC—The Great Backyard Bird Count. Here’s the website with all the information you need to participate. There’s also a section for kids with a birdsong quiz, puzzles, recipes for bird treats, and more. We are having a blast watching the home page for the GBBC change constantly as it’s updated every 30 minutes or so with bird finds from across the country. Yesterday morning, when it started, there were a few red dots marking submitted checklists in the west part of the U.S., with a large cluster of them on the East Coast. Now the map is nearly full of red, with lots in Canada and Mexico, too. 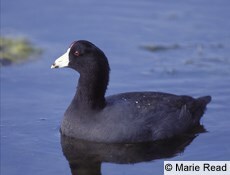 We love to see the bird count and species count change. You can also access lists for your state and even city. We are following Utah (because we live here) and Wisconsin (my beautiful home state…I love that my hometown of Eagle River even had 1 checklist submitted! Thank you, unknown Eagle River birder). Yesterday we watched our back and front yards for a while and counted 1 Black-Capped Chickadee, 1 Mountain Chickadee, 12 House Sparrows, 5 Starlings, 1 House Finch, 1 Dark-Eyed Junco (Oregon variety) and a Spotted Towhee. 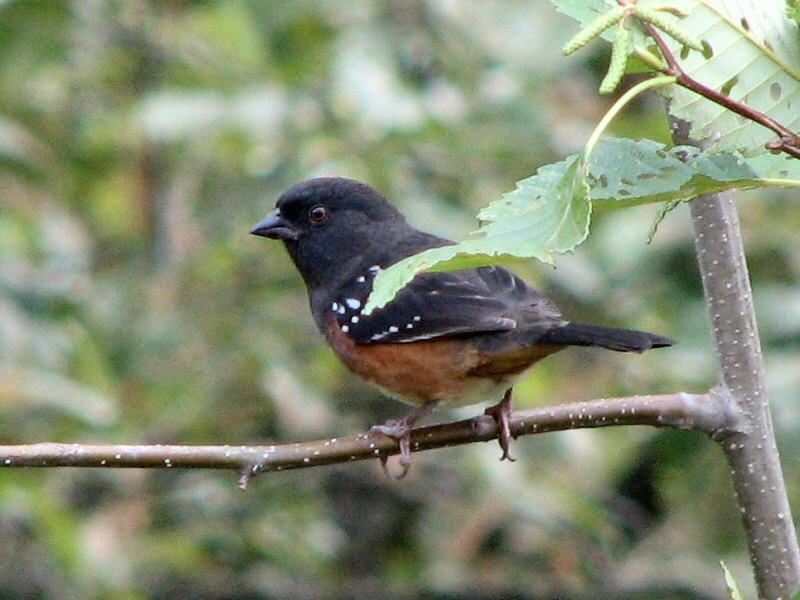 The Spotted Towhee was a thrilling find…we’d never seen one before, let alone had one visit our yard! 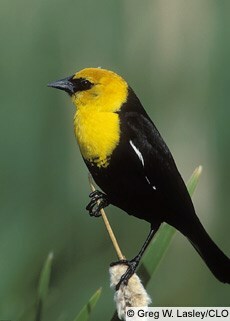 They’re beautiful birds. The kids decided they have the head of a Junco, the tail of a Magpie, and the stomach of a Robin. 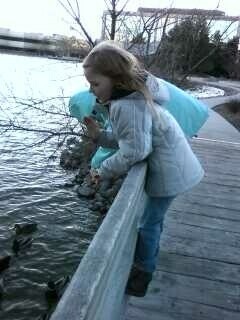 We also had a fun time feeding the ducks in a nearby pond, despite the bone-chilling wind. 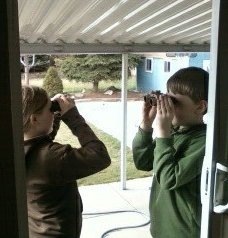 The kids were beyond excited to come home and enter their count on the GBBC checklists. 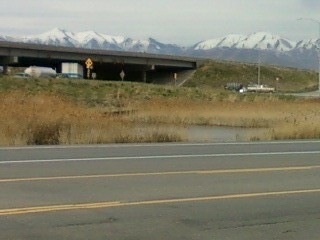 They loved the fact that we counted the only Great-Horned Owl and the only Killdeer (as of this morning) for Utah. Note: In the half hour or so I’ve been composing this blog post, the national bird count has gone up by 4,000 birds. We hope you’ll consider taking part in the fun! 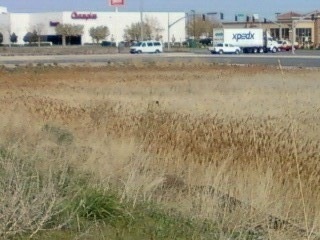 Yesterday morning after I dropped my oldest girl off at ballet and made a quick run to the LDS Humanitarian Center, I noticed some birds in a little marshy spot right next to a very busy freeway. On the way back from the Center, we decided to check it out. We parked at a gas station across the street and walked down the road a bit. 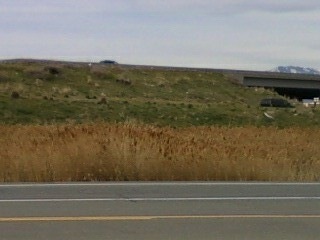 There was a stream on our side of the road and the dried reeds lining the stream were higher than our heads! 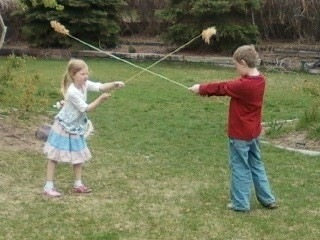 Apparently they also make good swords—the kids felt the need to bring some home and try it out. We finally got up the nerve to cross the busy street and climbed carefully up the hill, making sure to stay far enough away from the equally-busy frontage road/freeway area. I was so surprised that birds wanted to live in such a noisy area. We couldn’t begin to count how many of these blackbirds are living in this area—we saw at least 8-10 at various times. We also caught a glimpse of the female, who is much less noticeable but still very pretty. You can’t tell in this picture taken with my cell phone, but that black smudge in the middle of the picture is a yellow-headed blackbird. The kids usually humor me on my interests (some would say “obsessions” :)) and often get really interested themselves, but the birdwatching was one where they were rather skeptical. They couldn’t see how sitting quietly looking at birds would be that fun or cool. We also saw a couple of other birds, including one brown and white bird that decided it would be fun to take a nap on the side of the road. I haven’t been able to identify it yet, even with the help of websites and the various bird guides I got from the library last week—I guess we didn’t get a good enough look at it. The kids screamed with laughter (due to the roar of traffic, we didn’t have to be quiet during the birdwatching) over the bottoms-up antics of the mallard ducks looking for food in the water. They also couldn’t believe the beauty of the blackbirds. I think I’ve got some new birdwatching converts-in-the-making! We can’t wait to go out again, just as soon as this awful weather clears up. For years I’ve been interested in birds, but never got around to doing much about it. I grew up in northern Wisconsin, waking up each morning to the sounds of robins, chickadees, jays, and many others. 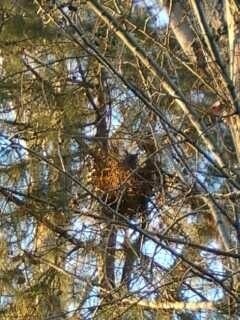 Living out in the country surrounded by forest was a bird paradise. Here in Utah, even though we live in the city, our back yard is a high-traffic area for a large amount of birds—and we don’t even have bird feeders up! Every day our yard is visited by house sparrows, robins, magpies, starlings, mourning doves, and others that I don’t know the names of (yet). We even get the occasional mallard duck. There’s a problem, though: the back of our house has this slanting patio roof that is irresistible to house sparrows. 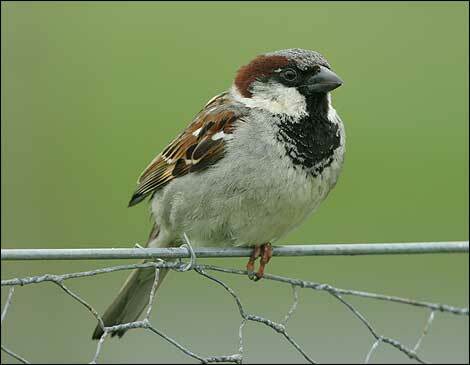 The house sparrow…they look so cute and harmless, don’t they? 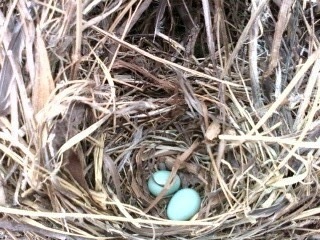 They build their grass-and-twig nests in every crack of the underside of that roof. It’s SO annoying. Not only do they leave messes all over the concrete and swingset and everything else, but far worse—the nests are too precarious and their babies fall out and die. We see at least 3-4 dead baby birds every summer…very sad. Clearing out the nests doesn’t work. Those birds are so industrious that there are new ones by the next morning. John finally found something that worked last year, though, for several months: he put some natural powder stuff up inside the eaves that’s supposed to be so potent with herbal smells that it keeps cats and dogs off your lawn. The birds left after a couple of weeks and though they still hung around the yard, the nests didn’t come back until this month. However, last week we discovered a whole new annoyance. When John went to open his grill in preparation for a family party last Saturday, he found it filled with a massive nest! He was angry, cleaned it all out, and scrubbed everything. 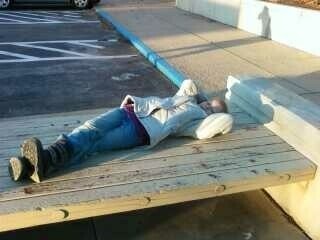 This was on a Friday. 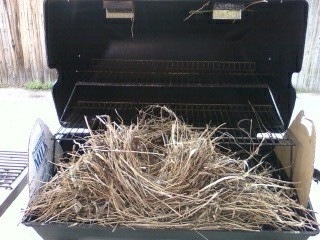 The next morning he opened his grill and it was filled AGAIN with a nest! The whole cleaning process began again. This time, after the family party ended, he cut some cardboard and put them over the vent holes. We thought this was the end of the sparrow grill problem. ARGHHHHHHHHHHHHHHHHHHH!!!!!! This was definitely a pull-out-your-hair moment. Tomorrow I’ll write more about birds, but for now, if you have an idea on how to get rid of pesky sparrows, leave me a comment and I will be grateful.